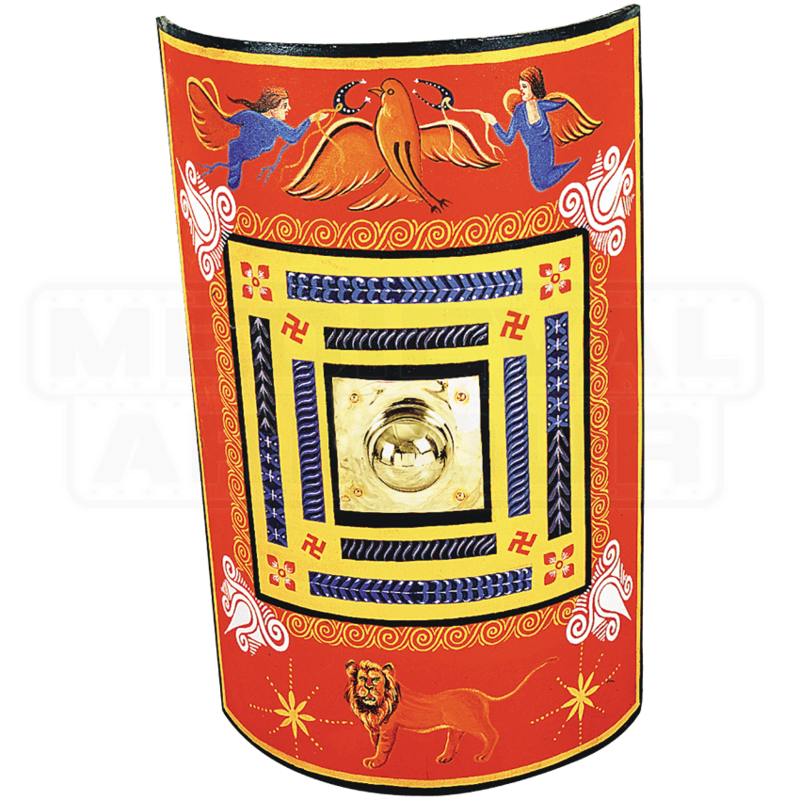 So named because the original shield was found in the same-named ruins, the Dura Europos 3rd Century Legionary Scutum is a breath-taking recreation of a legionary shield that was originally found at the Roman outpost of Dura Europos, in Syria. This impressive scutum, or shield, is modeled after typical Roman fashion, featuring a large, square shape that made it ideally suited for protecting one individual, as well as locking the shields together in formation to create a defensible shield wall. The shield is impressively detailed, featuring a classic red face that is covered in ornate designs, including a pair of angelic figures surrounding a bird at the top, as well as a fearsome lion at the bottom. White and gold designs border the center, which features a yellow and blue series of squares, all of which surround the brass boss at the shields center. 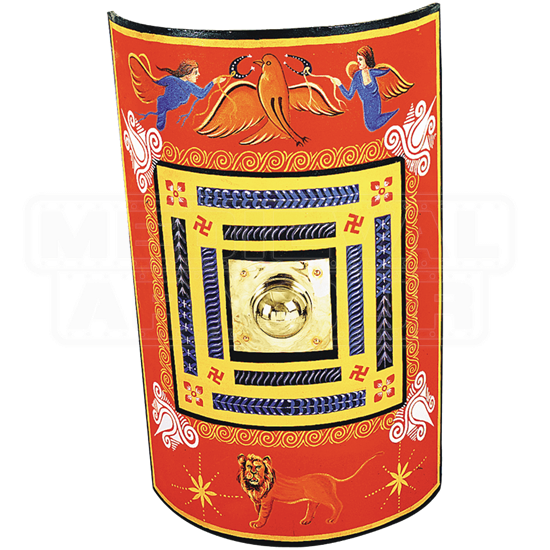 This impressive shield also features a linen covering, which enhances the shields durability while also improving on its detailing somewhat, too. The shield measures approximately 42 inches tall and approximately 33 inches wide. There might have been a legionary or a centurion who would have carried this impressive shield into battle, but more likely than not, the original was a decorative piece commemorating someone or some event, and that makes this Dura Europos 3rd Century Legionary Scutum a beautiful collectors piece that deserves to be admired.